Johnnie Walker and Chivas Regal tend to dominate the discussion when talking about blended scotch whisky, but the bottle I tend to grab more often is the lesser known The Famous Grouse. It’s slightly ironic that one of the best ‘hidden gems’ of the blended scotch whisky world is called “famous”, and although it may not be as famous as Johnnie Walker or Chivas Regal, it’s still one of the top ten Scotch whiskies sold in the world. A blend is only as good as the malts that go into it, and Famous Grouse draws from some pretty amazing malts, including ones from The Macallan and Highland Park (which I consider one of the best whiskys in the world). 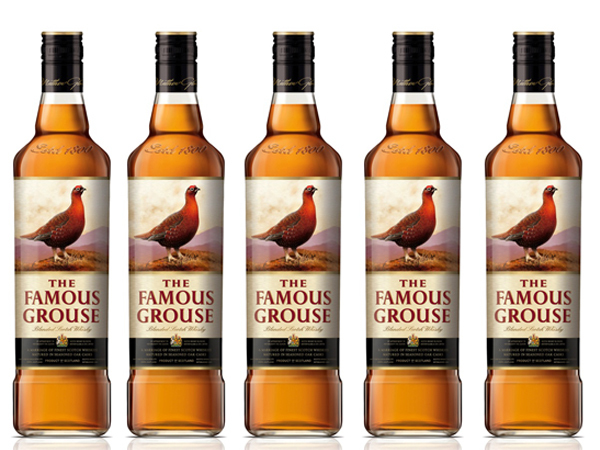 Famous Grouse ages a significant amount of its malt in ex-sherry casks versus ex-bourbon barrels, and the result is a fruitier, sweeter, and more lush blend that’s extremely easy to drink and mixes very well in cocktails. The nose on Famous Grouse is soft, sweet, and fruity with clear sherry notes combining with dried apricot. Underneath all that is a thick, sweet honey note that is incredibly inviting. The entry for Famous Grouse is very flavorful but also very soft. 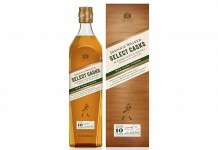 The sherry notes from the nose are clearly there along with vanilla, toffee, and a nice barley grain note. There is a perfect balance in the mid palate as the sweet pulls back a little and a toasted oak and subtle smokey flavor emerges. 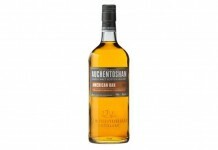 The finish is nice and easy with more of the toffee and barley lingering on the palate with just a kiss of heat. Famous Grouse works perfectly straight up as it’s as easy drinking as many Irish whiskeys, including Jameson. Even though it’s as easy as an Irish, it has a lot more flavor than most Irish blends. Famous Grouse really shines when it’s mixed. My favorite way to enjoy Famous Grouse is to put a shot of Famous Grouse over ice in a highball and then top the glass up with Reed’s Ginger Beer. It couldn’t be easier. Typically found under $25 a bottle, Famous Grouse is one of the most affordable quality blends on the market. You may not be familiar with The Famous Grouse, but it’s a scotch blend you should know.